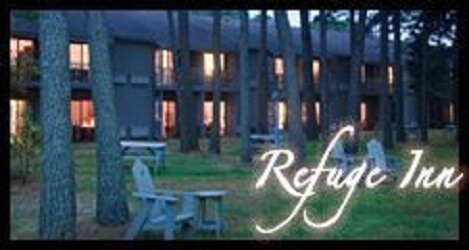 The Refuge Inn is within walking distance of the Chincoteague National Wildlife Refuge and only minutes from the beaches of the Assateague Island National Seashore. Nestled in whispering pines, the Inn is open year round and offers comfortable rooms and suites with private decks, balconies or patios, an indoor/outdoor pool, whirlpool, sauna, exercise room, sun deck, and a guest laundry. In addition, we have bicycle rentals, a gift shop, hibachis, and picnic areas. Our meeting room is ideal for small conferences. Visit our Island retreat where there’s as little or as much to do as you choose.